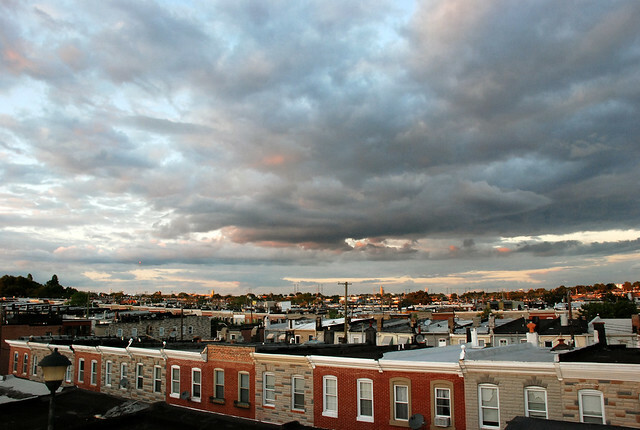 June 06, 2012 • Heidi Shenk • "Baltimore"
Last night while I was working in my studio, I glanced out the window for a brief instant. I am so glad I did! The sunset that was taking place was one of the best so far this summer. 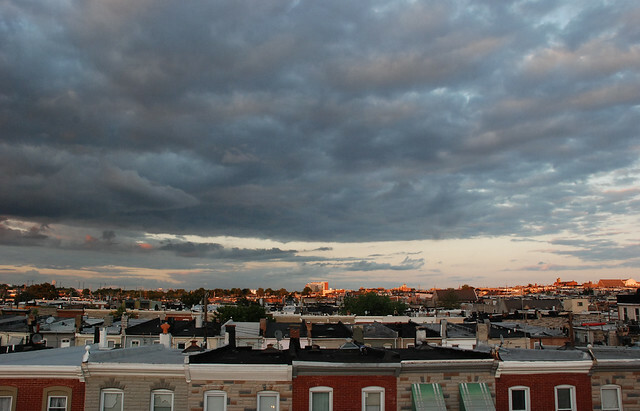 The sun had lowered just perfectly above the Johns Hopkins Hospital campus and created a glow in the clouds that was spectacular. 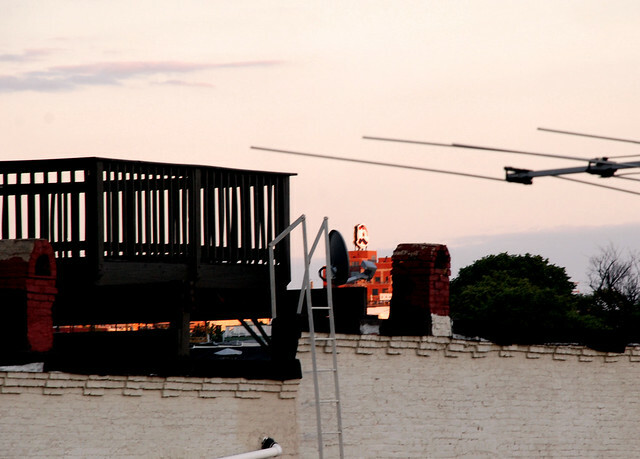 I grabbed my camera and headed up to the roof deck to snap a few photos when I realized the effect that was taking place on the other side of the house was equally as awesome. A glow through the clouds was creating a pocket of sun on the Johns Hopkins Bay View Campus Hospital (yes, we live equidistant between them both and they just happen to be great landmarks to provide an idea of where things are when looking from a bird's eye view). All said and done, the view last night was breathtaking as the sun lit up buildings and created shadows. And while this photo may not be nearly as breathtaking, I still had to include it because even Mr. Boh was glowing in the distance. 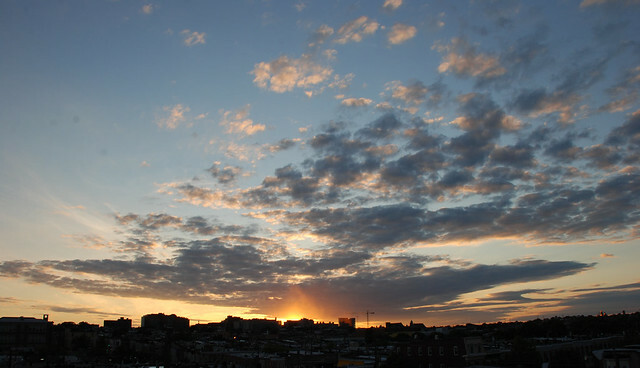 Last night's sunset made me feel even more lucky that we are able to have such a spectacular view of Baltimore. Now I can hardly wait even more so for our new roof deck furniture that is arriving on Saturday! I know that it will be put to good use while we enjoy many more sunsets like these to come!